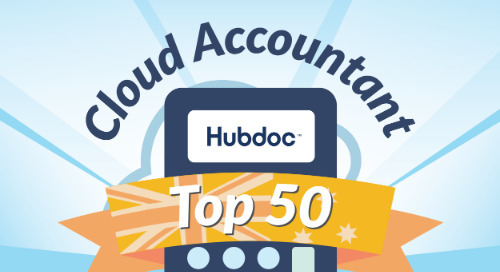 We’re pleased to announce our list of the Top 50 Cloud Accountants of 2017 in Australia! 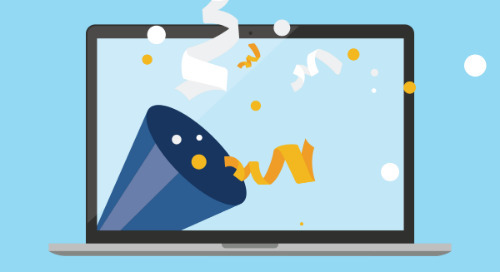 It’s hard to believe Hubdoc officially launched in Australia a little over a year ago. 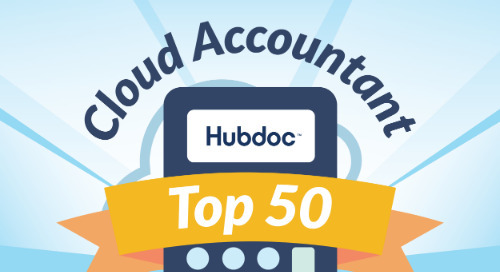 We’ve experienced first-hand how accountants and bookkeepers from down under are transforming small businesses with cloud accounting technology – which is why we’re especially excited to announce our Australian list of the Top 50 Cloud Accountants of 2017! Please give a virtual round of applause to our list of the Top 50 Cloud Accountants of 2017 in Australia! Matt, Erin, and the Advise Accountants team want to help their clients win in the game of business. Thanks to cloud accounting technology, Matt says he feels ”more like a coach” than an accountant. Having recently transferred their own management reporting system to Spotlight, they’re able to provide better, quicker financial advice. Talk about cloud champions! It’s been a big year for Lielette and the All That Counts team! As the 2017 Intuit Firm of the Future winner in Australia, Lielette understands the importance of leveraging cloud accounting technology to provide proactive advice to her SME clients. We can’t wait to see what Lielette and her team team bring to the table next! As the Head of Accounting at Xero, James is a true champion for accounting professionals! Alongside his role as Director and Co-Founder of Aptus Accounting & Advisory, James has been an active member of the accounting community and a cloud advocate from the start. 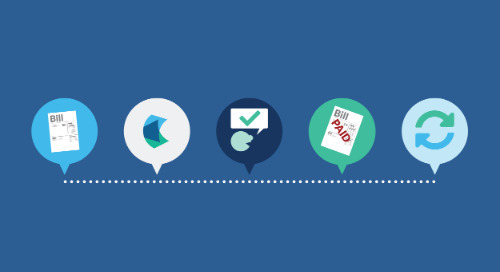 James uses tools such as Xero, Futrli, Fathom, Karbon, Practice Ignition, and TSheets to fulfill Aptus’s mission to connect their clients with everything they need to succeed. Cheers, James – thanks for helping the industry to thrive! Anne understands that being a cloud leader means helping your clients navigate the quickly growing technology landscape. “By sourcing and implementing suitable cloud technology solutions for my clients, they are reminded that I am at the forefront of change, both technical and legislative,” she says. Keep reaching for the cloud, Anne! When Denise attended a Xero roadshow in Perth in 2012, she couldn’t have imagined just how dramatically her life was about to change. Adopting cloud technology didn’t just eliminate boring data entry – it also freed her from the four walls of her office and allowed her to become a connected member of the bookkeeping community: “It opened up a whole new world of networking where I was [able to travel] east to conferences – I could take my clients with me in my laptop!” Congrats, Denise – keep conquering the cloud bookkeeping world! Although Jess and Stephanie are located in New Zealand, BDO has a global reach and is able to operate in over 100 countries, thanks to the cloud! Stephanie has experienced major time savings thanks to cloud accounting technology: “Before using Hubdoc, processing invoices could take at least eight hours a week. Now, it takes about two hours,” she says. 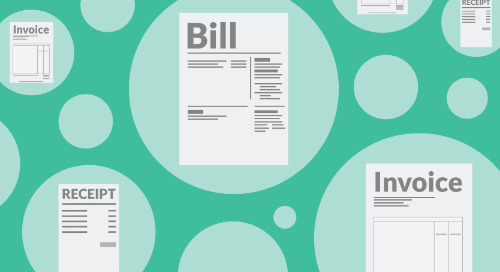 We’re excited to see how BDO continues to find new ways to embrace accounting automation! Meryl launched Bean Ninjas in July 2015 with the goal of being a cloud bookkeeping practice powered by Xero. Bean Ninjas is now a Xero Gold Partner and Meryl became a Xero Partner Advisory Council Member in September 2017. Bean Ninjas leverages Xero add-ons (such as Hubdoc!) to serve their defined niche of online businesses clients. Congrats, Meryl! The team at businessDEPOT is made up of multidisciplinary business advisors who are on a mission to help businesses reach their potential. “We would not be able to take our approach of providing a lot more than just accounting services if it wasn’t for cloud technology,” says John. In particular, John is thrilled to be able to empower businessDEPOT clients with up-to-date, real-time information: “When they ask you a question, you can see it – there and then – what it is that they’re talking about, and you can even fix the problem, there and then.” Congrats, John and team! Diane and Jackie are on a mission to “proudly lead rather than follow the transition to the cloud” – and that’s what makes them a cloud leader! Leveraging tools such as QuickBooks Online, Hubdoc, Karbon, Practice Ignition, and TSheets, Direct Management is able to simplify their clients’ business operations, as well as provide them with financial education and insights. Way to go, Diane, Jackie, and team! 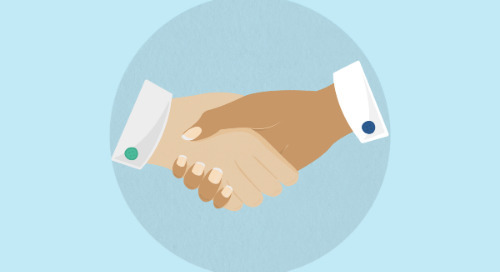 Easdowns takes pride in being advisors first, and accountants second. Chris says that cloud accounting technology plays a critical role in achieving this mission: “It gives a greater understanding of how our clients are performing in real-time and provides the ability to communicate on real-time data together. All the information becomes transparent for all parties and is accessible almost instantly.” Easdowns has been able to provide this level of transparency with Your CloudCFO, an innovative tool that empowers their clients to increase the efficiency of their financial operations. Awesome! Fehons, an accounting firm that has been active for over 50 years, has always been committed to ensuring their clients maintain a competitive edge and are up-to-date with industry changes. To continue to achieve this mission, they launched Fehons Grow, a division dedicated to providing cloud accounting solutions to their clients. Since its launch in 2016, Fehons Grow now provides consulting services to 15 clients. We’re excited to see how Fehons continues to innovate in 2018 and beyond! Fitzpatrick Group is a Xero Gold Partner that’s committed to helping business owners build a better business. Thanks to the real-time data provided by cloud accounting technology, they were recently able to help a client avoid a potentially costly situation: “We established a sophisticated job costing system using cloud accounting add-ons. Due to this system, we were able to notice and react quickly to a downward change in his margins. We analyzed the issues, we established some strategies, and then we had the client back on track within the same quarter.” Talk about cloud accounting superheroes! Cloud technology has allowed Stuart to grow the Fullstack Advisory team by drawing from a global pool of talent. “At our firm, we use talent from four different countries, and all use cloud technology to keep in touch, share information, and manage workflow,” says Stuart. Their cloud accounting technology stack includes Quickbooks Online, Xero, Hubdoc, Expensify, and Practice Ignition. Congrats to Stuart and the worldwide Fullstack Advisory team! 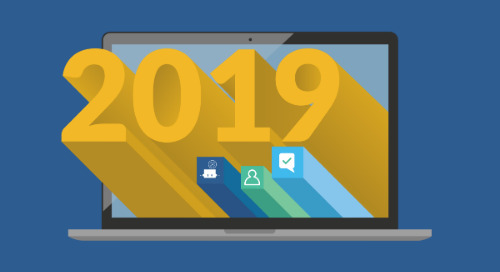 As true cloud leaders, Alan and David understand how cloud accounting technology is shaping the industry and their client experience: “Where we previously discussed old figures, we’re now talking to the client about real-time figures, and inevitably, about the future of their business. 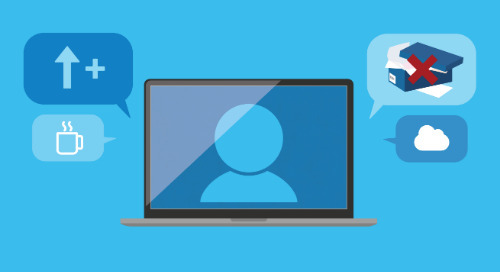 Those conversations are far more relevant from the client’s perspective and consequently, our clients are more engaged with us.” G2 Accounting was also able to showcase a client’s transition to the cloud in the Xero Cloud Jumpers series. Congrats, Alan and David! Growthwise leverages cloud technology to help their clients #BanAdmin, as well as think, learn, grow, and kick arse! A bold brand and a team of “not your average nerdy” small business accountants have enabled Growthwise to become a Xero Platinum Champion Partner. Another reason why Growthwise has been able to scale effectively is that Steph thinks of Growthwise as a “business” rather than a “firm” or a “practice”. She shared her reasoning with us in a fireside chat – watch it here! “Since converting all of our clients to cloud accounting technology, travelling has been reduced and client numbers have increased more than 80%,” says Lyn. GS & T Accounts is a Xero Silver Partner who serves clients all over Australia. To fulfill their mission of helping small businesses increase innovation, they’ve also teamed up with Pegasus Graphic Studio to help small businesses create impactful branding. Congrats on your cloud success, Lyn! When a new client reached out while Helen was on holiday, The Bookbuster was able to take on their business without a hitch, thanks to cloud accounting technology. “Due to all the cloud integrations, we were able to get them all up to date. This was completed with ease because of Xero and Hubdoc. Having the bank statements synced enabled us to efficiently complete two years worth of checking all entries,” she says. Congrats, Helen – keep busting those books! Illumin8 wants their clients to get out of bed every morning and devote their time to what they value most. Cloud technology allows them to fulfill this mission: “Without cloud accounting tech, we would not have been a part of helping to create over 62 new startup businesses. We would not have had the opportunity to journey with these businesses and provide in depth training and business advice.” Illumin8 is a Xero Gold Partner, and in 2017, they were finalists for two SMSF and Accounting Awards: ‘Accounting Firm of the Year’ and ‘Small Business Advisor of the Year’. Congrats, Andrew! The Integral Mobile Bookkeeping team leverages cloud accounting tools such as QuickBooks Online, Xero, and Hubdoc to drive innovation and change for the joint benefit of clients and advisors. As a member of the Australian Bookkeepers Network and the Association of Accounting Technicians, Trevor is also enthusiastic about the accounting community. Way to go, Trevor and team! Guy Pearson needs no introduction – as the founder of Interactive Accounting and the co-founder and CEO of Practice Ignition, he’s a cloud accounting trailblazer whose cloud expertise extends well beyond the accounting space. Interactive Accounting is a multi-award winning firm and a Xero Platinum Partner that’s always been on the cusp of the latest technology trends and best practices. Congrats to Guy, Gareth, and the Interactive Accounting team! A true cloud accounting leader, Gillian poses the following question to her clients: “How can you expect to use yesterday's technology to be in business today?” With this philosophy in mind, Jill of All Trades is a Xero Gold Partner that utilizes cloud accounting tools such Expensify and Karbon (just to name a few). 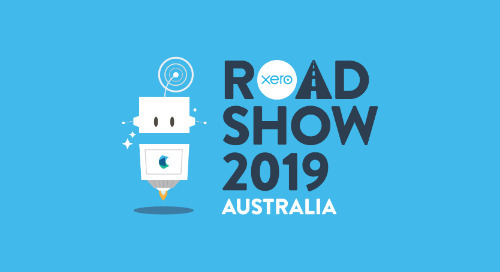 Gillian is also the founder of EziCloudConnect and is recognized as a premier Xero consultant. Congrats, Gillian! Flexible working arrangements, the ability to serve clients all over the world, reduced data entry, and better client insights are just a few cloud accounting benefits experienced by Ryan and the Keeping Company team. By providing all of their clients with a cloud-integrated dashboard, they’re able to help them better understand their business performance. Keep up the cloud innovation, Ryan! Back again! 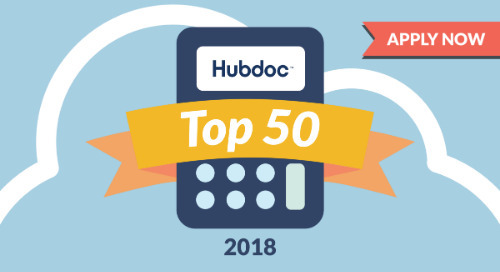 Cassandra and the Laurus Bookkeeping team prove that they’re Hubdoc Top 50 material for the second year in a row. With a fully remote team and 100% of their clients on the cloud, they’re experiencing the myriad of the benefits associated with cloud accounting technology. “We are far more connected to our clients than we were when using desktop services,” says Cassandra. Congrats! Louise sets an example when it comes to running a paperless practice. 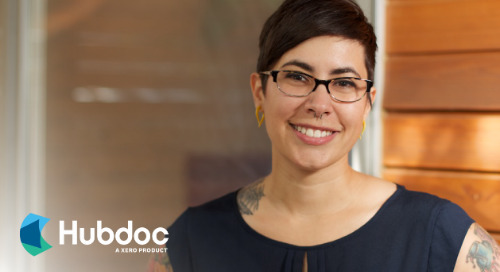 In addition to operating Love Your Books entirely on the cloud, Louise was also able to personally embrace the paperless life (with a little help from Hubdoc! ): “My partner is a builder and my file room was being overtaken by boxes of receipts from our local Bunnings Hardware store. 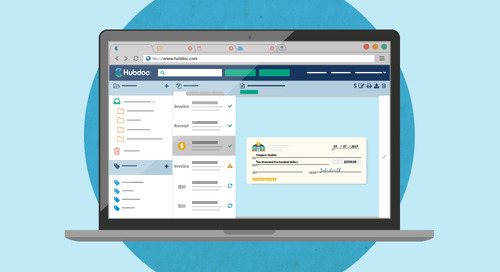 Within 30 minutes of hooking up his Hubdoc account, we had the past year's receipts from that account automatically import into Hubdoc.” Awesome! Mark Kenmir, Mark Kenmir & Co.
What do you do when you’re tasked with completing a ten year expense analysis for 15 bank accounts on a one-week deadline? You turn to the cloud, of course! “Using cloud accounting software enabled us to have a team of four reconciling simultaneously at various times of the day,” says Mark. Mark Kenmir & Co. is a Xero Gold Partner and they leverage tools such as Hubdoc and Expensify to improve their client experience. Way to go, Mark and team – we can’t wait to see what you accomplish next! Noel Tiufino joins our Top 50 list for the second year in a row! As one of the first firms to partner with Xero, he’s been cloud-savvy since the early days. My Accounts is now a Xero Platinum Partner and Noel regularly shares his cloud savviness with his community, running events such as Bootcamp Business Breakfasts and the IPA Accountants Discussion Group. Congrats, Noel and team! As the 2016 Intuit Firm of the Future Australia winner, Reuben and the New Wave Business Solutions team are setting the bar high when it comes to cloud leadership. Not only do they ensure that all of their clients leverage cloud technology, they’ve also established expertise in several specific niches (such as the hospitality industry and manufacturing), and have built a culture that promotes growth and happiness for both their employees and their clients. Keep your head in the the cloud, Reuben! 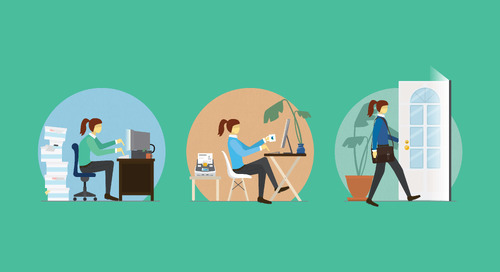 Nine Advisory believes business owners deserve more from their accountant. 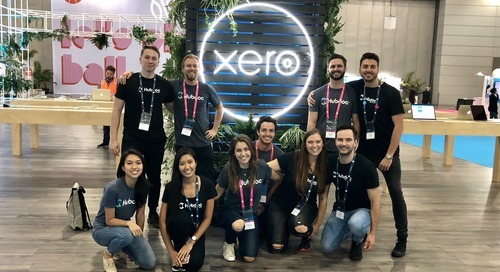 Sam and his team leverage an impressive set of accounting technology tools (including Xero, Futrli, Spotlight, Fathom, and Hubdoc) to help guide small business owners to achieve business success and ultimately, a better everyday life. Congrats, Sam! When Erika launched Office Overload Solutions in June 2015, she set five specific goals she wanted to achieve within a two-year timeline. “I wanted the business to be mobile, 80% automated, have branches in three countries, operate a 100% paperless practice, and it also had to be able to operate without me working in the business, but on the business,” Erika says. Fast-forward to 2017: Erika has been able to accomplish all of these feats, thanks to cloud accounting technology! Congrats, Erika – you’re an inspiration! When assigned to create a reporting system for a client that involved multiple sources of data and strict deadlines, Matthew and his team knew just what to do. 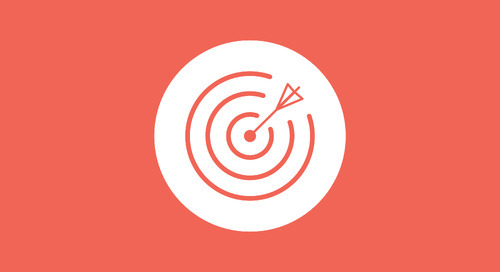 “By carefully designing an ecosystem encompassing Xero, Hubdoc, Spotlight Reporting, Expensify, and Invitbox, we were able to create a comprehensive solution to our problem, without compromising information quality, budget, and time constraints.” The use of these cloud accounting tools also produced far more economical results than they had initially estimated. Stay cloud-savvy, Matthew! When it comes to making a difference with technology, Power Tynan has the routine down pat: “We build a relationship with the client to discover their needs. Then, we personalize a sustainable solution using the wide range of innovative cloud technologies available to help them save time and money.” Power Tynan also promotes a culture of growth and has its own scholarship program. We’re excited to see Power Tynan continue to leverage technology in new and exciting ways! When discussing cloud accounting technology, the Prime Partners team is all smiles. They’re thrilled to be able to use tools like Xero, Spotlight, and Hubdoc to give clients access to real-time data and initiate more meaningful conversations. Their commitment to educating and engaging their clients (check out their resource center), combined with their enthusiasm for improving their client experience, is exactly what makes them worthy of a spot on our Top 50 list. Congrats, team! Cloud accounting technology enables Graeme to have his clients’ data at his fingertips, which in turn allows him to easily identify trends and encourage his clients to take action when necessary. Quest Consulting Services also leverages cloud technology to educate and empower their customers to solve just about any business problem. Cheers, Graeme! Thanks to cloud accounting technology, Lauretta was able to travel to the USA for three weeks while keeping in touch with her staff and checking in with her clients. Operating entirely on the cloud, Quick Bizness Bookkeeping Solutions includes tools such as QuickBooks Online, Hubdoc, and Jetpack Workflow in their accounting technology stack. Congrats, Lauretta! QuickData Business Solutions is on a mission to enable their clients to be able to process their own bookkeeping as efficiently as possible. As a true cloud leader, they believe that training them how to use cloud accounting technology will help them to achieve this. Thanks for spreading the power of cloud accounting, Janie! Rad Bookkeeping is passionate about “continually expanding our knowledge, customer base, and innovative services”, and they wouldn’t be able to do so effectively without tools like QuickBooks Online, Xero, Hubdoc, Practice Ignition, and TSheets. “Without this technology, I would not be able to service as many clients as I do,” says Debbie. Rad Bookkeeping sets a great example of how cloud accounting technology can help firms provide incredible experiences for a large volume of clients – we’re excited to see this trend continue in 2018! 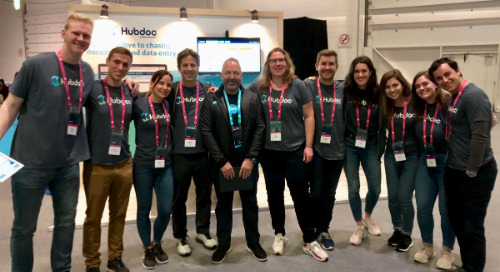 As one of the fastest-growing Xero partners in Australia, RBK Advisory was able to grow from 300 to 1,600 clients in their second year of business – a feat that could not have been accomplished without cloud accounting technology! With a mission to provide “an easy, fast, affordable accounting and business advisory service”, RBK Advisory has extended their offerings to also include services such as mortgage broking and SEO. We’re excited to see RBK Advisory’s momentum continue in 2018! One of the things that excites Michael most about cloud accounting technology is being able to give proactive advice. “Access to real-time data means we can highlight trends in clients financials and cash flow that we can act upon quickly,” he says. Specializing in the trade and construction industry, Robson Advisory uses cloud accounting tools such as QuickBooks Online, Xero, Spotlight, and Workflow Max. Congrats, Michael! Rubycube Consulting experiences the benefits of operating entirely on the cloud both internally and externally. Jade enjoys the flexibility of being able to work from anywhere, at any time, while her clients have also “achieved freedom from paperwork and location, and have the most valuable thing of all back – time.” Stay cloud-y, Jade! Streamline Management has been around for over 20 years. One of the reasons they’ve been able to experience ongoing success is because of their enthusiasm for cloud technology. Now, they’re a Xero Silver Partner and leverage Xero add-ons such as Hubdoc and TSheets. Congrats on making the Top 50 list for the second year in a row, Nicole! Samuel recalls the dark days before Tall Books embraced cloud accounting technology: “I was at the will of USBs, save errors, and computer viruses, [and] printing was a core expense,” he says. Leveraging tools such as QuickBooks Online, Xero, Hubdoc, TSheets, and KeyPay, cloud accounting has completely changed Samuel’s life. Samuel shares his cloud expertise on the Tall Books blog and YouTube channel. Congrats! The Outsourced Accountant’s ultimate goal is to revolutionize global accounting teams. Cloud technology enables them to accomplish this with their clients, as well as within the accounting community. Nick Sinclair is an expert in outsourcing, offshoring, and building global accounting teams, and he regularly shares his expertise to educate accounting firms on how to prepare for the future. Now that’s cloud leadership! 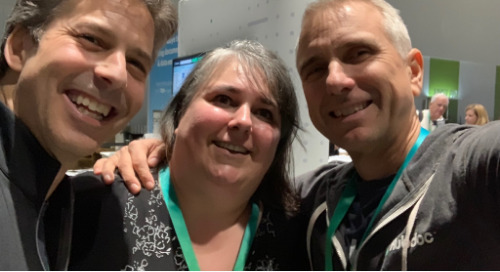 Marrianne credits cloud accounting technology as the main reason why there’s little friction in her client experience: “My clients have the ease of getting what they need, when they need it. They know exactly how business is going in real time. They can send documentation via apps and not worry about it getting lost in the mail,” she says. Congrats, Marrianne! Operating entirely on the cloud, Rouli and the TrackMyNumbers team leverage tools such as QuickBooks Online, Xero, Futrli, and Deputy to present their clients with effective solutions. Rouli shared how one of her clients broke down into tears of joy upon hearing their recommended suite of technology solutions: “All they had heard for the last six months was problems, and we had presented them with solutions – not just that, but solutions that would actually improve their business, their client experience, and their team’s engagement.” Stay cloud-y, Rouli! Natalie founded Two Sides Accounting in 2017, but thanks to cloud accounting technology, she’s already been able to experience significant growth. Two Sides Accounting leverages tools such as Xero, Karbon, Expensify, and Practice Ignition to enable business owners to work smarter. Congrats, Natalie – we’re excited to see how Two Sides Accounting continues to scale in 2018! When it comes to providing amazing client experiences, VIDEN sets a high standard. 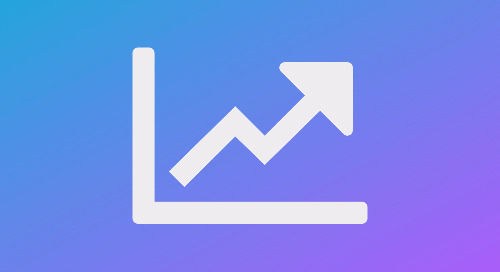 In addition to having a learning center that provides great information for business owners, they have also developed a proprietary app that displays a series of dashboards of key financial metrics, which places more real-time data in their clients’ hands. VIDEN is a firm to watch in 2018! Rhys’s passion for helping small businesses thrive has inspired his work at Viridity (a specialist business advisory service). 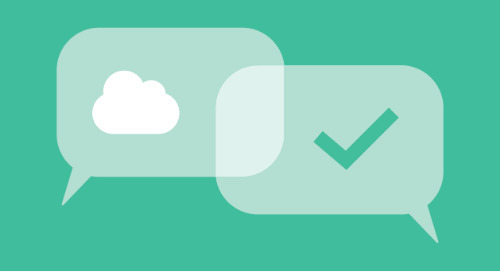 An early adopter of cloud accounting technology, Viridity started working with Xero in 2010. Rhys identified the need for a service that would help businesses implement unique software solutions that could help them transform and innovate. This led to the launch of Cloudsolve in 2015. Congrats, Rhys! Nick and Andrew founded Walker Hill Chartered Accountants in 2012 and have since grown to lead a team of 20 staff members. 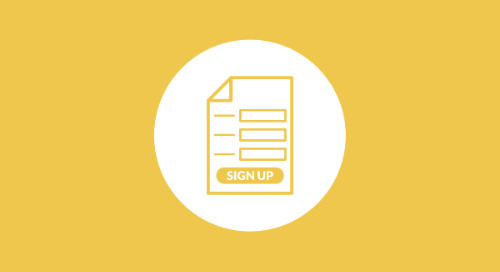 Walker Hill offers online courses that cover a variety of business topics, as well as maintains an awesome blog to help educate and empower their small business clients. Nick cites better, faster communication as one of the key benefits of cloud accounting technology and claims that he “wouldn’t be able to do what I do – both professionally and personally – without cloud accounting software.” Congrats on an amazing year, Nick and Andrew – we’re excited to see what 2018 brings for your team! Craig, Ross, and the Westcourt team leverage cloud accounting tools such as QuickBooks Online, Xero, Futrli, and Workflow Max to advise their clients with real-time data and forward-looking information. Serving the family business niche, their vision is “for family owned businesses to be the primary driver of profits, innovation and employment in Australia.” Congrats, Craig and Ross! Having access to real-time data and increased efficiency are just a couple of the benefits Greg has experienced with cloud accounting technology. Over the past year, Zerobooks has also been able to scale their practice: “We have been able to expand our services and clients globally, with around 40% of our new work coming from outside Australia. [We now have] partners and clients in seven different countries,” says Greg. We’re excited to see how Zerobooks continues to scale in 2018! That’s our list! 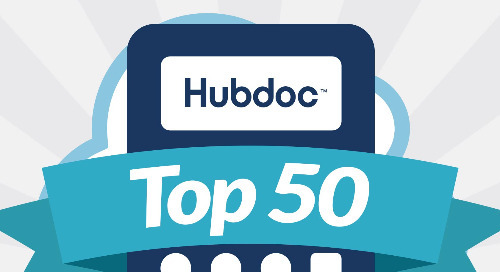 Stay tuned for more information about this year’s #HubdocTop50 Cloud Accountants, and check out our list of the Top 50 Cloud Accountants of 2017 (North America) here. 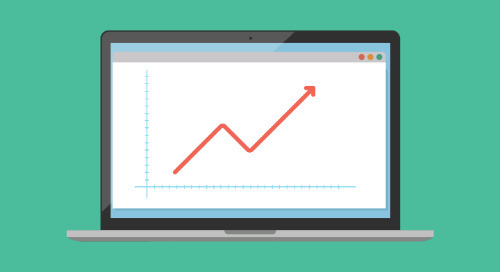 Learn how cloud bookkeeping can transform your practice.